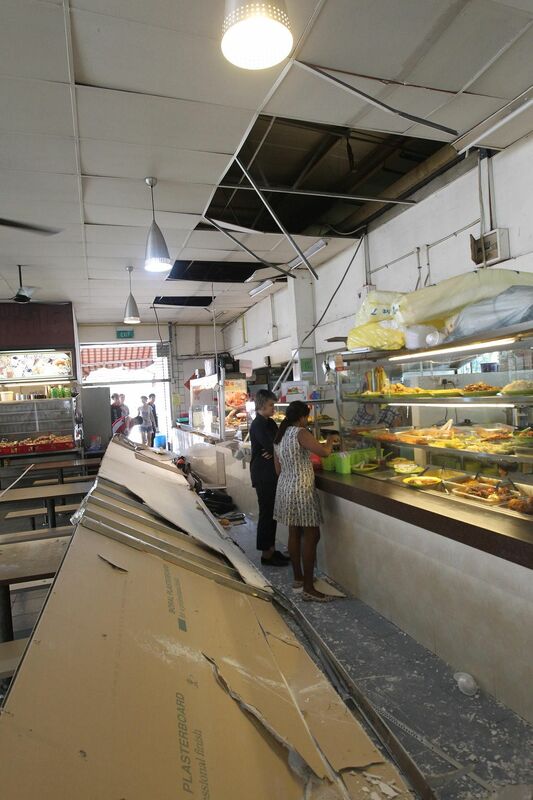 SINGAPORE - The signboards of four food stalls at a MacPherson coffee shop came crashing down on Wednesday (Aug 10), alarming office workers who were having lunch. 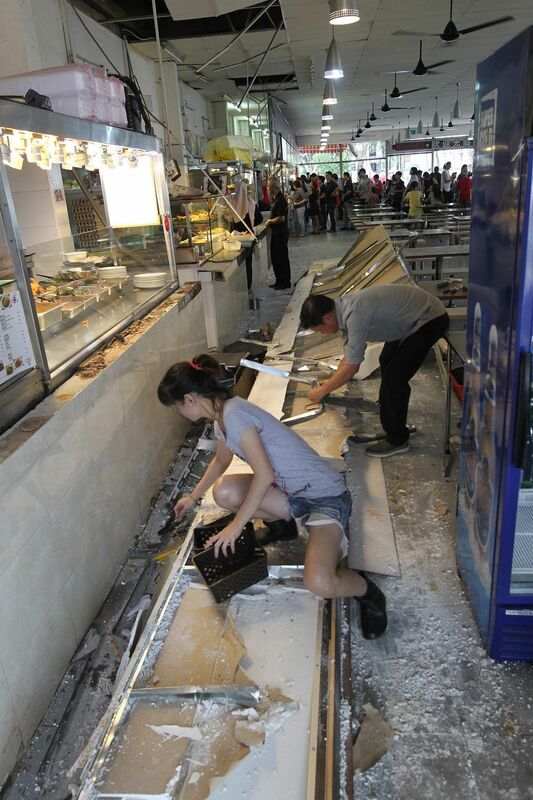 Panels from the false ceiling and parts of the plaster wall also fell at the coffee shop on Lorong Bakar Batu, Lianhe Wanbao reported on Thursday (Aug 11). Diners shouted in shock as the signboards fell with a loud bang on some tables, said an eye witness. There were many customers waiting in queue to order food at the time, but they managed to escape the falling objects as a "creaking" sound preceded the collapse. A coffee shop employee told Wanbao that while no one was hurt, it was chaotic and people were scared. The coffee management is investigating the incident, and has asked the contractor who installed the signboards to repair the damage, it said. The fallen signboards were obstructing four of the stalls, while three stalls were operating as usual, the report said. But potential customers walked away when they saw the mess in the coffee shop, Wanbao said.